ONE DAY TECHNICIAN CLASS The Technician license is the entry level license for getting started in HAM radio. The Amateur Radio Club of Utah Valley often presents one day courses followed by a test to obtain your Technician class license. The next class is Saturday September 19th, 2009 on the BYU campus. 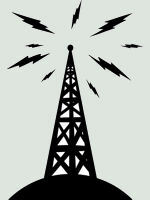 Seating is very … Continue reading "September 19th one day Ham Radio class‏"